The US House narrowly passed the farm bill yesterday, which according to the critics includes rollbacks to the Clean Water Act related to pesticide use and environmental protections for national forests. In other Forestry news: US forest mortality is trending upward, exceeding net growth; BC will make restrictions of cedar volumes logged enforceable as forest company disputes over-logging on Haida Gwaii; and California is considering endangered species status for the super cute/super ferocious marten. In other news: NAFTA talks are reported to resume within weeks; US housing permits and starts were strong in May; but home sales sank along with homebuilder share prices. Finally, a mid-rise wood design workshop is promoted in Ontario; a best use of timber award is announced in Scotland; and the UK’s first MSc on timber architectural design and technology is introduced in Edinburgh. Vancouver’s 93.7 JRFM is giving away a truck to a non profit! With 50 nominations, Evans Lake Forestry Camp made it to the top three. Now you get to pick the winner. Voting closes June 24. You’ll need to take a moment to create a JRFM account, but it’s worth it – please take the time to sign in and cast your vote for Evans Lake. On behalf of the Evans Lake Forest Education Society – thank you for taking a few minutes from your day to help out! One month after negotiators from Canada, Mexico, and the United States were unable to meet an informal deadline for modernising the North American Free Trade Agreement (NAFTA), talks are reportedly due to resume for the trilateral trade pact within weeks, though exact dates are not yet clear. Trade officials from the US and Canada indicated last week their intention to continue negotiating over the coming months, without confirming whether they would try to clinch an agreement in principle this year. …How officials will overcome the hurdles that have dogged the talks over the past several months remains unclear however, despite repeated statements from officials that an updated NAFTA could be an opportunity to test out new, improved trade rules that are in line with 21st century realities. Remarkably, Canada is about to join a trade war it can’t win without any public debate over whether there was another option. Freeland, the foreign affairs minister, and Trudeau said within hours of Canada losing its exemption from U.S. steel-and-aluminum tariffs at the end of May that the Canadian government would retaliate in kind. …Freeland did provide a little insight on the government’s thinking. The forestry industry is at least as important as steel and aluminum, but when the Trump administration tagged Canadian lumber imports with duties last year, the Trudeau government didn’t retaliate with duties of its own. That’s because the lumber duties were imposed through normal channels, while the metals tariffs were applied under the guise of national security, which “is simply illegal,” Freeland said. West Fraser Timber Co. Ltd. declared a quarterly dividend on Tuesday, June 26th, TickerTech reports. Investors of record on Wednesday, July 18th will be given a dividend of 0.15 per share on Wednesday, July 18th. This represents a $0.60 dividend on an annualized basis and a dividend yield of 0.72%. The ex-dividend date is Tuesday, June 26th. West Fraser Timber traded down C$0.87, hitting C$83.59, during trading on Thursday, according to Marketbeat. The company’s stock had a trading volume of 223,497 shares, compared to its average volume of 324,557. West Fraser Timber has a twelve month low of C$58.40 and a twelve month high of C$97.99. Existing home sales, which make up about 90% of U.S. home sales, sank more than expected in May 2018, marking the second consecutive monthly downfall. It seems that a flourishing economy is giving little boost to the traditional spring homebuying season as supply shortage, higher home prices and rising mortgage rates are somewhat creating hurdles for buyers. 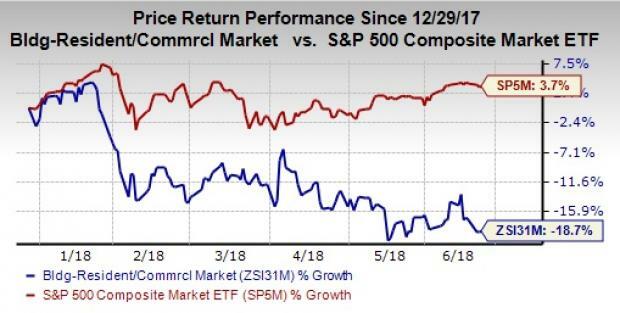 …Innumerable problems have been slowing down the homebuilding industry , as evident from the 18.7% year-to-date decline against a 3.7% rise of the S&P 500 Composite. Even big names like Lennar LEN , D.R. Horton DHI , PulteGroup PHM , KB Home KBH and NVR Inc. NVR have plunged 17.4%, 17.4%, 11.7%, 17.5% and 11.6%, respectively, so far this year. Though homebuilders admit to rising labor shortage and land/labor costs, they remain optimistic about a measured recovery this year in tandem with steady economic growth. VIENNA – Austrian cellulose fibres producer Lenzing and Brazilian wood panels maker Duratex agreed to build a $1 billion dissolving wood pulp plant in Brazil, the companies said. The decision is in line with Lenzing’s strategy of growing its specialty fibres business, the Austrian group said, adding it will hold 51 percent in a venture with Duratex that will operate the mill in the state of Minas Gerais, close to Sao Paulo. “The joint venture will investigate the construction of a 450,000 tons dissolving wood pulp (DWP) plant, which is expected to become the largest and most competitive single line DWP plant in the world,” Lenzing said in a statement. Dissolving wood pulp is the key raw material for Lenzing’s fibres. The recent article “Regional District of Nanaimo (RDN) to create designs for fire halls” raises some important concerns not apparent at first glance. The motivation of the RDN is one of saving money through standardization of fire hall designs of the future. I question whether economy should serve as the guiding principle in planning our fire halls. …At the same time fire halls have almost always been built with an individual character and appearance that reinforces their special place in the fabric of a community. …The RDN’s interest in employing steel construction also reflects a lamentable and environmentally unconscionable approach. …B.C. is at the forefront of a current revolution in wood construction technology. We have provincial programs in place promoting the sustainable use of wood products, and the RDN is in the middle of a region that should be utilizing and celebrating wood components in all of it’s public buildings to the highest degree possible. Updates to the Ontario Building Code in 2015 have led to the construction of mid-rise wood buildings all over the province. To date over 125 mid-rise projects are either in planning, under construction, or built and occupied, and demand for these buildings continues to grow. Attend a 1-day ‘mid-rise essentials’ workshop and expand your capacity for mid-rise wood design. The registration fee for this event is $250 +HST and includes lunch. All participants will receive a personalized continuing education certificate for 6 structured learning hours. A new Indiana law that goes into effect July 1 will have home builders report the use of certain materials to fire departments. It’s meant to help save firefighters’ lives. Home builders would have to report the use of engineered wood, which is lightweight and cheap and burns faster. That information would be reported on the building permit for new construction, then passed on the dispatch center. …Then firefighters will know which part of a building is likely to burn and fail more quickly. …Clay County Fire Marshal Dave Cherrone says the reporting will be a good thing for firefighters, but it only applies to new construction. And that will limit its impact. Engineered wood has been used in construction for at least 30 years. 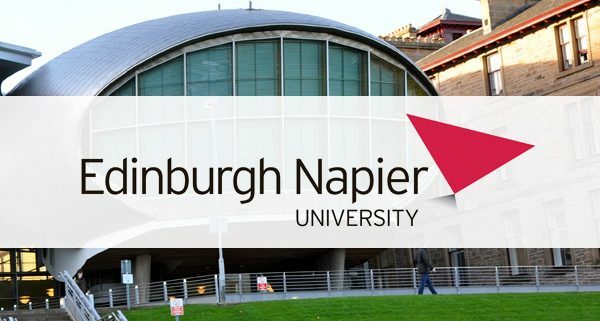 Edinburgh Napier University has introduced an MSc on Timber Architectural Design and Technology – the first programme of its kind in the UK. The programme is designed for graduates in architecture, architectural technology and other construction professions who want to become part of the growing international move towards innovative and high-performance timber building. The MSc will equip students to work as a design professional within the timber sector one of the fastest growing parts of the building industry in many countries. The programme has been developed by Edinburgh Napier’s Institute for Sustainable Construction in consultation with professional bodies and the timber industry. SHANGHAI—The International Woodworking Exhibition SYLVA WOOD 2018 will be held in Shanghai – one of the largest world events in the field of timber processing. The event brings together the world’s leading timber companies. Russia will participate in the exhibition for the second time… The experience of last year’s participation demonstrated the Chinese companies’ interest in the Russian market: interaction with the Asian partners was significantly expanded, and a number of mutually beneficial contracts were concluded. Today, several large investment projects with the participation of Chinese companies are already being implemented in Russia. “Russia occupies a leading position in the volume of forest resources in the world. Effective use of these resources is our national priority…” said Viktor Evtukhov, State Secretary, Deputy Minister of Industry and Trade of the Russian Federation. 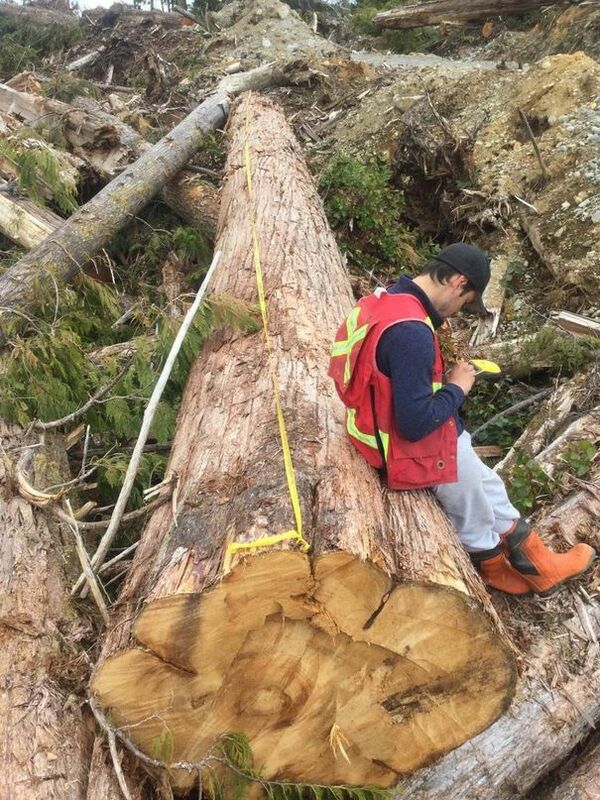 VANCOUVER—A Delta, B.C.-based forestry company facing allegations of over-logging on Haida Gwaii says it has stopped all logging operations in disputed areas, and as a result has laid off many of its employees. Husby Forest Products is under investigation by the B.C. Ministry of Forests, Lands, Natural Resource Operations and Rural Development’s enforcement and compliance branch over allegations of logging centuries-old cedars. In addition, the company is the subject of a court petition filed by the Haida Nation, which demands a halt to permits in five different logging areas on Haida Gwaii. On Tuesday, Husby responded with its own evidence in court. …Husby did not deny the claims of over-logging since restrictions on the volume of cedar logged are not yet legally enforceable, at least until Forestry Minister Doug Donaldson signs an order. Donaldson’s ministry reiterated this week that such an order is on its way. A B.C. First Nation has partnered with the B.C. 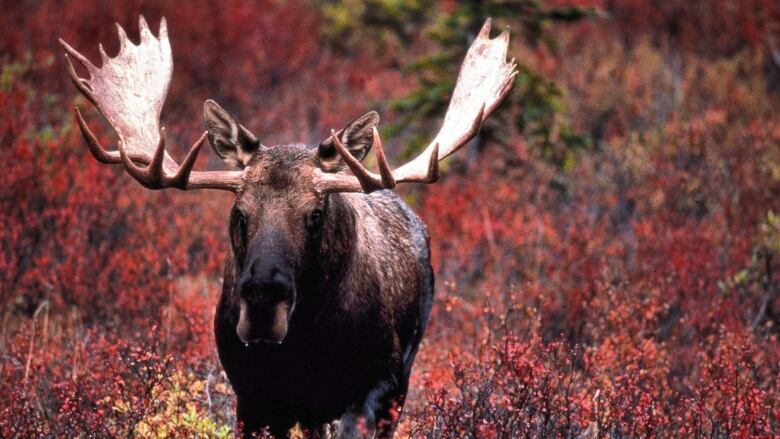 Conservation Officer Service to enforce restrictions on moose hunting. Last fall, the ?Esdilagh First Nation declared a ban on moose hunting in its traditional territory, citing a decades-long population decline and fears that B.C.’s 2017 wildfire season drove moose numbers down even further. ?Esdilagh representatives have been critical of the B.C. government for not taking action against the regional population decline. 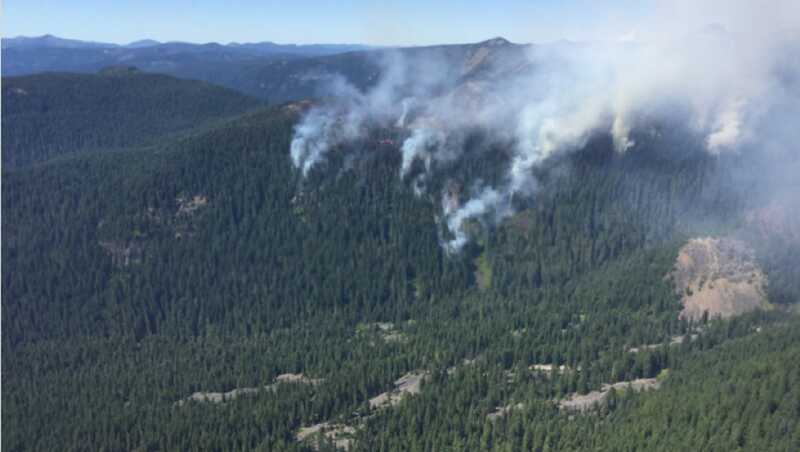 The factors that have affected the population are principally “forest fires, climate change and most likely timber harvesting and habitat loss, and hunting pressure,” according to Chad Stump, a ?Esdilagh band manager. Forest mortality exceeded net growth on America’s national forest timberlands in 2016, based on data publicly available from the U.S. Forest Service. USFS said that forest growth was 48 percent of mortality, while timber harvests were just 11 percent of what is dying annually. Forest mortality continues to trend upward, reports Healthy Forests Healthy Communities. Last year the agency estimated there were 6.3 billion dead standing trees in 11 Western states. This means that far more trees are dying due to neglect such as catastrophic wildfire, insects, and disease, than are being harvested and utilized as wood products. Our federal forests are not being actively managed, whether through logging, thinning and prescribed fire, said Healthy Forests Healthy Communities. The House narrowly approved an $867 billion farm bill with controversial provisions… The House’s 213-211 vote means the legislation will go to conference with the Senate version of the bill. This marked the second attempt by the House to pass the farm bill after it failed to approve the legislation last month, due to an immigration squabble among Republicans. The Sierra Club issued a press release after the farm bill’s passage slamming… provisions undermining bedrock environmental safeguards for clean water, wildfire and forests.” Specifically, environmentalists say farm bill includes rollbacks on the Clean Water Act requirements as it relates to pesticides by easing rules on permits. They also called out provisions in the legislation that would speed up logging and mining in forests. WASHINGTON— In a narrow vote, the U.S. House of Representatives today passed a 2018 Farm Bill that contains an unprecedented provision that would allow the killing of endangered wildlife with pesticides. …“House Republicans just put killer whales, frogs and hundreds of other species on the fast track to extinction,” said Brett Hartl, government affairs director at the Center for Biological Diversity. “This is a stunning gift to the pesticide industry with staggeringly harmful implications for wildlife.” …In addition, H.R. 2 includes a sweeping provision that would gut environmental protections for national forests to expedite logging and mining, including eliminating nearly all protections for old-growth forests in Alaska. The legislation contains nearly 50 separate provisions that would eliminate all public input in land-management decisions provided by the National Environmental Policy Act. The U.S. Forest Service has released four videos that appear to be designed to entice more people to apply for wildland fire jobs within the agency. Considering the allegations of sexual harassment within the agency during the last two years it is interesting that three of the four people featured in the videos are women. Few people have glimpsed a dusky gopher frog or heard its loud, guttural, snore-like croak. …Once widely found in the Delta states of Mississippi, Alabama and Louisiana… the federal government in 2001 listed it as endangered. …Now, the warty amphibian has attained near-celebrity status because of a Supreme Court case that goes way beyond the little frog’s future in the Deep South. At stake are questions about how far the federal government can go to protect an endangered species’ habitat, even when the species hasn’t been seen there in years, without denying the constitutional rights of property owners and the economic interests of local and state governments. Dozens of lawyers, biologists, developers, environmental and business groups, and federal, state and local officials are involved in the case, Weyerhaeuser Co. v. U.S. Fish and Wildlife Service. The Supreme Court is set to hear oral arguments in the fall. The Humboldt marten …who live in dense old-growth forests along the North Coast, are about as docile as pit bulls, according to Tierra Curry, a senior scientist with the Center for Biological Diversity. But threats from cannabis grows, timber harvest and other larger species, put the species’ survival at risk. And with less than 400 of the species surviving in the wild, the California Fish and Game Commission is set to determine whether they deserve protection under the California Endanger Species Act. …“Human activity nearly drove the marten to extinction,” Tom Wheeler, executive director of EPIC, said in a statement. “Because of the marten’s rediscovery, we were given another shot to save the Humboldt marten. We can’t blow it this time. We owe it to future generations and to the Humboldt marten.” …If the marten is added to the waiting list of endangered species, it might take decades before its official designation. ALBANY — Legislation to create a state tax credit to encourage forestry stewardship and habitat conservation on private property passed the state Senate this week. The bill was sponsored by Sen. Betty Little, R-Queensbury, who represents northeastern New York. “Undeveloped privately owned forestlands have many benefits for wildlife and water quality,” Little said. “Growing property tax burdens and shifting of the assessment burden onto private lands creates pressure for development. This tax credit, funded through the state and not a shift to locals, would offer financial relief, increasing the likelihood that these tracts remain intact.” Little said studies have documented increased fragmentation of the forested landscape and negative implications this has for wildlife, water management, biodiversity and the forest-based economy. What’s making Europe’s trees so sick? Pollution appears to be causing a distressing trend of malnutrition for Europe’s arboreal citizens. There has been a worrisome trend of tree malnutrition spreading across Europe, leaving once stalwart forests vulnerable to threats. And we only have ourselves to blame. A new and comprehensive study, spanning 10 years of research, looked at 13,000 soil samples across 20 European countries. The researchers conclude that many tree fungi communities are being stressed by pollution, indicating what some may call obvious: Current pollution limits may not be strict enough. “There is an alarming trend of tree malnutrition across Europe, which leaves forests vulnerable to pests, disease and climate change,” says Dr. Martin Bidartondo… The study, led by Imperial College London and the Royal Botanic Gardens, Kew, found that local air and soil quality have a large impact on mycorrhizal fungi, which they say could explain these sad malnutrition trends in Europe’s trees. FORT NELSON, B.C. – UPDATE – The fire has grown quickly and the B.C. Wildfire Service says it is now 80 hectares. – Crews are responding to a forest fire near kilometre 10 of the Clarke Lake Road near the Fort Nelson First Nation. The fire broke out Thursday and has not caused any evacuations. There are two crews working the fire with a helicopter and water bomber helping to fight the fire. The Fort Nelson First Nation says the fire is 9 hectares in size. The Northern Rockies Regional Municipality says the Clake Lake Road has been closed due to the fire. …Fire Information Officer Amanda Reynolds said that the fire is currently estimated at 10 hectares in size, and is being fuelled by the tinder-dry conditions in the area. To prevent the worst consequences of climate change, we need to act now. There is a “catastrophic climate gap” between the commitments that countries have made under the Paris Climate Agreement and the emissions reductions required to avoid the worst consequences of global warming, according to UN Environment’s Emissions Gap Report 2017. The Paris Agreement aims to strengthen the global response to the threat of climate change by keeping a global temperature rise this century well below 2˚ Celsius, and to pursue efforts to limit the temperature increase even further to 1.5˚ Celsius. Current pledges from governments represent only about half of what would be required to avoid a 2˚C temperature rise, and just one third of what’s required to limit warming to 1.5˚C. While this “emissions gap” is significant, UN Environment suggests it can still be closed in a cost-effective manner. One of the major contributors to closing the gap is forests.